Creativity has been a fascinating research topic for me as it often opens up new opportunities for interdisciplinary as well as cross cultural study. Dr. Anna Hui is currently an associate professor and also the coordinator of the BDSS First Year Experience at the Department of Social & Behavioural Sciences, City University of Hong Kong. Research interests include creativity and innovation; motivation and self-regulation, gifted and creativity education, lifespan development in creativity. She also served as the Chairperson of the Ad Hoc Committee of Reviewing the Curriculum Guide of Early Childhood Education, Curriculum Development Council of the Education Bureau, HKSAR. 2017 “Visiting Scholar” National Taiwan Normal University. 2017 “Visiting Scholar” Nanyang Technological University. 1991 - 2008, Assistant Director, Center for Child Development, Hong Kong Baptist University. Keysteps: Hong Kong Jockey Club Early Childhood Intervention to Promote Ready Children, Parents & Communities, Hong Kong Jockey Club Charities Fund, Jul 2017 - Jun 2022, Patrick Ip (PI), Meanne Chan, Nirmala Rao, Anna Hui, & Jin Sun (Co-I). JC-Giftness into Flourishing Talents, Hong Kong Jockey Club Charities Trust Fund, Nov 2016 - Jan 2019, LK Chan, Daniel Shek, Alan Cheung, Anna Hui. Research on Evaluating the Pilot Scheme on On-site Pre-school Rehabilitation , Social Welfare Department, HKSAR, Aug 2016 - Apr 2018, Anna Hui (PI), Angela Siu (PI), Elaine Au, Andy Cheng, HF Chen, WY Hsieh, MT Leung, Sam Ye (Co-Is). Enhancement of Quality in Early Childhood Education: Using the Early Childhood Environment Rating Scale – Extension (ECERS-E) & Revised (ECERS-R) as Formative Assessment Tools , Quality Education Fund, Amount: HKD $1,740,000, 2015 - 2017, Anna Hui (PI), Jannet Chik, Adith Ho, Carly Ng (Co-Is). Evaluation of Jockey Club Appreciation for Chinese Culture & Arts Project, Hong Kong Institute of Aesthetic Education & Class 7A Drama , Amount: HKD $120,000, 2015 - 2016, Anna Hui (PI). Student perception of the creative process and learning activities through the discovery-enriched curriculum , Teaching & Learning Fund, City University of Hong Kong, Amount: HKD $119,000, 2015 - 2016, Anna Hui (PI), Pedith Chan, Ray Cheung, Ron Kwok, Linda Lai, Denvid Lau (Co-Is). Creativity, syntactic development and dialogic reading techniques for young children in Hong Kong: A contrastive and longitudinal approach, General Research Fund, Research Grants Council, Amount: HKD $315,000, 2014 - 2016, Anna Hui (PI), Bonnie Chow, M. T. Leung, S. M. Chan (Co-Is). Engagement in Quality Infant-Toddler and Parenting Programs with child and parenting outcomes: A strengths-based approach, Simon K Y Lee Foundation, Amount: HKD $260,000, 2014 - 2016, Anna Hui (PI), Bonnie Chow, Mavis He, A.G. Tan (Co-Is). Discovery Learning and its Rlationships with Creative Potentials, Creative Self-Efficacy, and Intrinsic Motivation of Undergraduate Students, Teaching & Learning Grant, City U, Amount: HKD $212,700, 2012 - 2014, Anna Hui (PI), Bonnie Chow, Benny Hon, & Kwok Leung (Co-Is). Evaluation of Integrated Creative Arts Program for Young Children, Tung Wah Group of Hospitals, Quality Education Fund, Amount: HKD $190,500, 2012 - 2014, Anna Hui (PI), Karen Cheung (Co-I). An interplay of age, contextual factors, team process and organizational creativity in Hong Kong professionals, GRF, Research Grants Council, Amount: HKD $697,675, 2011 - 2013, Anna HUI (PI), S.-T. Cheng, Christina Sue-Chan, & Dannii Yeung (Co-Is). The making of a creative Hong Kong: Creativity for all ages and age integration , SPPR, Research Grants Council, Amount: HKD $1,000,000, 2010 - 2012, Anna Hui (PI), Kara Chan, S.-T. Cheng, Desmond Hui, Christina Sue-Chan, & Dannii Yeung (Co-Is). Evaluation of "Quality Thematic Network (QTN) on Drama in Education", Ming Ri Institute for Arts Education, Quality Education Fund, Amount: HKD $1,083,000, 2008 - 2014, Anna Hui (PI). Hong Kong Jockey Club KeySteps: Early Childhood Intervention to Promote Ready Children, , Hong Kong Jockey Club Charities Fund, Patrick Ip (PI), Meanne Chan, Nirmala Rao, Jin Sun (Co-I). Chan, K. , Hui, A. NN. & Cheng, S. T. (2013). Perception of age and creativity in the workforce setting. Journal of Creative Behavior. 47 (4). 256 - 272. Hui, A. N.N. , Cheung, P. K. , Wong, S. T.K. & He, M. (Autumn 2011). How effective is a drama-enhanced curriculum doing to increase the creativity of preschool children and their teachers?. Journal of Drama & Theatre Education in Asia. 2 (1). 21 - 48. Leung, Y. B. & Hui, A. N.N. (Summer 2011). Language learning strategy of Hong Kong Putonghua learners. Education Research Journal. 26 (1). 17 - 39. Hui, A. N. N. , Cheung, R. W. L. & Ho, M. Y. (Spring 2018). Creativity Fostering Teacher Index as an outcome of a drama-enriched curriculum in creativity in education. Creativity Fostering Teacher Behaviour: Measurement and Research. (pp. 75 - 91). Singapore. World Scientific Publishing. 978-981-3234-15-4. Hui, A. N. N. , He, M. J. W. , Kuo, C. C. , Tan, A. G. , Lyu, Y. F. & Chan, L. K. (Summer 2018). Gaps and go in policy, practice, and research of gifted education in China, Hong Kong, Singapore, and Taiwan. Routledge handbook on schools and schooling in Asia. (pp. 555 - 569). UK. Routledge. 978-1-13-8980849-9. Hui, Anna. N. N. , Yeung, Dannii. Y. L. , Sue-Chan, Christina. & Cheng, S. T. (Summer 2015). Team processing and creative self-efficacy in professionals from creative and non-creative industries. Creativity, culture, and development. (pp. 235 - 252). Singapore. Springer. 9789812876362. Hui, A. N N. , He, M. , Liu-Au, E. & Ching, C. (2015). Thinking creatively across the lifespan. Routledge International Handbook of Research on Teaching Thinking. (pp. 212 - 225). UK. Routledge. 9780415747493. Liu, E. S.C. , Wu, J. K.F. , Lo, T. W. & Hui, A. N.N. (2012). Implementing volunteer program to university students in Hong Kong – Enhancing volunteer participation through service matching and organizational support. A Chinese perspective of teaching and learning. (pp. 165 - 178). UK. Routledge. 9780415895941. Jan 2018 - Dec 2019, Member, Research Committee, Hong Kong Academy of Gifted Education.Hong Kong. Jan 2015 - Feb 2017, Chairperson, Ad Hoc Committee on Reviewing Early Childhood Education Curriculum Guide, Curriculum Development Council, Education Bureau.HKSAR. Sep 2012 - Aug 2015, Chairperson, Curriculum Development Council - Gifted Education Committee.HKSAR. 2017 - 2018, Vice Chairperson, Treats.Hong Kong. 2008 - Now, Chairperson, Ming Ri Institute for Arts Education.Hong Kong. 2008 - Now, Executive Committee Member, Hong Kong Committee on Children's Rights.Hong Kong. Jul 2013 - Now, MSSPSYED, Program Leader. Sep 2008 - Jun 2012, SS Dept, Foundation Year Coordinator. Sep 2017 - Aug 2020, Supervisor of doctoral student, Miss Priscilla S.Y. Ip. Sep 2016 - Jun 2017, Supervisor of Doctoral Thesis, Dr. Michael Scott Eason. Sep 2015 - Now, Supervisor of Doctoral Student - Ms. Yifan Lyu. 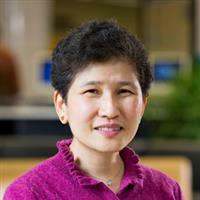 2013 - Now, Co-Supervisor of Doctoral Student - Miss Sharon Ingrid Kwok. 2014 - Now, Postgraduate, SS5762 Managing the Inclusive Classroom. 2013 - Now, Postgraduate, SS5760 Foundations of Inclusive Education. 2012 - Now, Bachelor, CLA1601/1602 Individuals and Society. 2012 - Now, Bachelor, GE1216 Loving Work and Working to Love. 2009 - Now, Bachelor, SS2023 Basic Psychology I. 2009 - 2013, Bachelor, SS2028 Basic Psychology II. 2009 - Now, Postgraduate, SS5755 Applying Psychology to Contemporary Issues. 2008 - 2013, Bachelor, GE2203 Psychology for Young Professionals. 9 Aug 2013 - 13 Aug 2013, Sue-Chan, C., Lam, J. H. M., Lu, L., & Hui, A. N. N. Antecedents and consequences of team engagement. In M. J. Woodwark & G. H. Seijts (Chair), International perspectives on the relati, Orlando, FL, USA. 23 Jun 2013 - 29 Jun 2013, Hui, A. N. N. Creativity & leisure: An activity and engagement perspective. In A. N.N. Hui (Chair), Creativity & leisure in Asian societies: An interdisciplinary and lifespan approach. S, Seoul, Republic of Korea. 23 May 2013 - 26 May 2013, Hui, A. N. N., & Law, K. Relationship between creative self-efficacy, group cohesiveness, empowering leadership, individual employee and group creativity. In A.G. Tan (Chair), Creativity:, Washington, D.C., USA. 1 Dec 2012, Hui, A. N. N., Yeung, D. Y., Sue-Chan, C., Cheng, S. T., Chan, K. W., & Hui, D. C. Antecedents of consumption in creative and cultural economy: Applying the theory of planned behavior., Taipei, ROC. 9 Nov 2012 - 11 Nov 2012, Hui, A. N. N., & Liang, E. Creativity as a reserve capacity in older adults and a virtue in positive psychology. Symposium presentation in the Second China International Conference , Beijing, China. 13 Aug 2012 - 14 Aug 2012, Hui, A. N. N. Is relational theory a better answer to the Chinese psychology of creativity? Invited address in Creativity for Life Conference: Beyond Cultural & Disciplinary Bounda, Singapore. 8 Jun 2012, Hui, A. N. N., Yeung, Y. L., Sue-Chan, C., & Cheng, S. T. Team processing and creative self efficacy in professionals of creative and non-creative industries. Paper presentation at the, Hong Kong. 1 Jun 2012, Hui, A. N. N. Creativity development and arts education in young children. Invited address at the Annual Meeting of Pacific Early Childhood Education Research Association (Hong Kong) , Hong Kong. 2 May 2012 - 7 May 2012, Hui, A. N. N. Effect of drama in education. Invited presentation at the Cross Strait Drama in Education Seminar, Hong Kong, Changzhou, & Kaohsiung. 1 Apr 2012 - 5 Apr 2012, Chan, K., Hui, A., & Cheng, S.T. Perception of age and creativity in the workforce context. Paper presentation at the International Journal of Arts & Sciences (IJAS) Conference, Vienna, Austria. 15 Dec 2011 - 18 Dec 2011, Hui, A. N. N., He, M. W. J., & Lee, K. Y. M. Arts learning experience and creativity in primary schoolchildren. Paper presentation at the World Education Research Association & Tai, Kaohsiung, ROC. 20 Nov 2011 - 24 Nov 2011, Hui, A. N. N. , Chan, K. W., Cheng, S. T., Hui, D. C., Sue-Chan, C., & Yeung, D. Y. The creative intention influenced by age, social norm and creative self efficacy. Poster ses, Boston, MA, USA. 20 Nov 2011 - 24 Nov 2011, Hui, A. N. N., Chan, K. W., Cheng, S. T., Hui, D. C., Sue-Chan, C., & Yeung, D. Y. Creative intention, participation in creative & cultural activities, and quality of life in older , Boston, MA, USA.